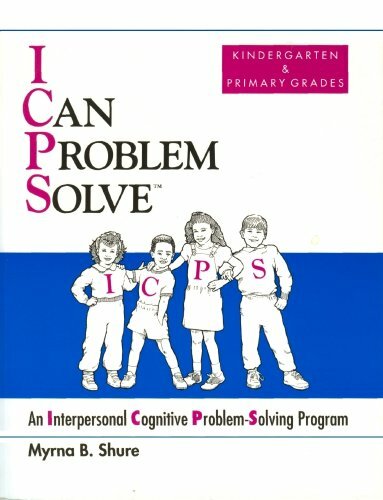 Subtitle: An Interpersonal Cognitive Problem-Solving Program. Shows teachers how to help children learn to solve the problems they have with others. Focus is on teaching children how to think, not what to think. Encourages children to think for themselves and to come up with many solutions to problems. Book has 83 lessons. Lessons last 20-40 minutes. Each lesson contains a stated purpose, suggested materials, and script/guidelines. Teaches skills through the use of games, stories, puppets, and role-playing.